Harvey ‘DuWayne’ Hicks of Trowbridge, Michigan, passed away Monday, May 20, 2013, in Kalamazoo. 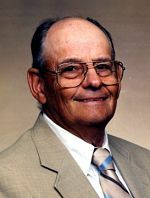 Mr. Hicks was born October 16, 1926 in Trowbridge Township to Theodore DuWayne ‘Ted’ and Lucy (Bolenbaugh) Hicks and was a lifelong resident of the area. He served his country in the U.S. Navy during WWII in the South Pacific on the destroyer, USS Cotton. DuWayne received his Bachelor of Science degree from M.S.U. in 1949. For 25 years he was employed with Eckrich, retiring in 1992, and also farmed most of his life. He was a very active member, lay speaker and Sunday School teacher at Trowbridge Methodist Church. For several years he served as a Trowbridge Township officer. In his leisure time he enjoyed hunting and had made several trips to Alaska. On September 1, 1948 in Otsego he married the former Jean E. Graham, who survives. Also surviving are two sons and a daughter, Bob (Debbie) Hicks of Eagle River, Alaska, Maurice (Debbie) Hicks of Trowbridge and Doris Hicks of Eureka, CA; six grandchildren; 13 great-grandchildren; three great-great-grandchildren. He was preceded in death by a son, Brian in 1981; a grandson Tom Hicks; and an adopted sister, Sue Whelis. Friends may visit with his family from 6 to 8 P.M. Thursday, May 23, 2013, at Trowbridge Methodist Church where funeral services will be held at 11:00 A.M. Friday, May 24, 2013, Pastor Sheila Baker and Pastor David Youngs officiating. Burial will be at Trowbridge Methodist Cemetery with Military Honors by V.F.W. #3030 and U.S. Navy Honor Guard. Contributions in memory of DuWayne may be made to Trowbridge Methodist Church, 355 -- 26th St., Otsego, MI 49078 or the Alzheimer’s Association , 2300 Portage St., Kalamazoo, MI 49001.